During Egyptian President Abdel Fattah al-Sisi’s visit to Washington on Tuesday, Trump’s top aides asked their Egyptian counterparts if the United States could attend the second meeting of the Eastern Mediterranean Gas Forum, a group that Cairo launched in January with Jordan, Italy, Greece, Cyprus, Israel and the Palestinian Authority. It would be the Trump administration’s first time engaging with the forum, designed to allow participating nations to develop their newly discovered gas reserves in concert, optimizing extraction and export options that will help them compete in an increasingly crowded gas market. 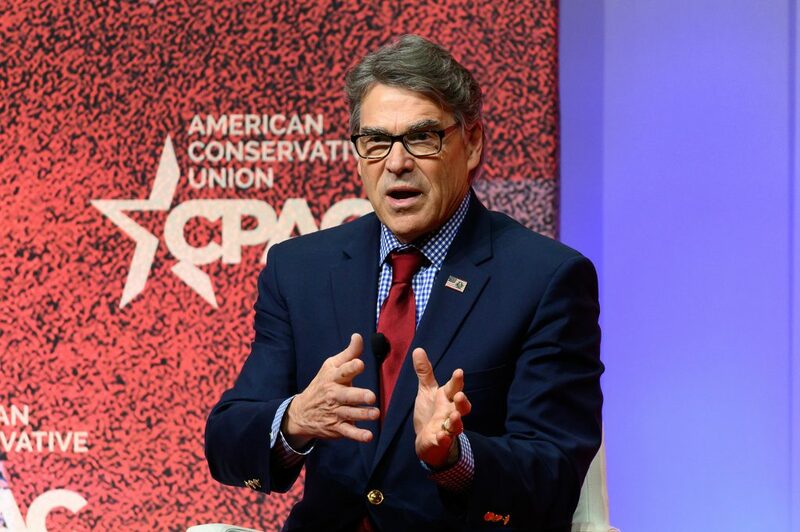 U.S. Energy Secretary Rick Perry would attend the meeting, expected to take place in Cairo, the official hub of the forum, later this month. The goal of the meeting is to “see more of the structure of the forum and the practical implications of it,” one senior official said. The group has only met once before at the ministerial level and brings together parties with historically cold relations, such as Israel and the Palestinian Authority, which administers significant gas fields off the Gazan coast. Israel first discovered major offshore gas reserves, named Tamar and Leviathan, over the past decade. Major U.S. energy companies had previously shied away from working in Israel due to its tense relations with oil-rich Gulf neighbors and the false assumption that there were no significant energy resources to be found. The nascent gas forum might change that calculus. U.S.-based ExxonMobil is now considering establishing a presence in Israel and company officials met last month in Houston with Israeli Energy Minister Yuval Steinitz for preliminary talks. Expanding opportunities for U.S. energy companies and brokering “practical alliances” based on natural resource requirements is an organizing principle of the Trump administration, the officials said, characterizing President Donald Trump as “enthusiastic” about the Egyptian initiative. It is one basis of the administration’s greater design for regional peace in the Middle East, in which opposing parties recognize the economic benefits of cooperation. Egypt is at the center of that vision, the administration officials said. But their enthusiasm for Egypt’s leadership on the gas forum stands in contrast with their disappointment over Cairo’s decision this week to withdraw from a major strategic alliance the Trump administration is trying to build to confront Iran. One primary goal for the gas forum is to explore cost-efficient ways to export regional gas to Europe, its closest and wealthiest market. The Trump administration has harshly criticized European governments — especially Germany — for its reliance on Russian natural gas, an argument it has used to push back against European Union claims that Washington is retreating from its support for NATO. “If Germany persists in building the Nord Stream 2 pipeline, as President Trump said, it could turn Germany’s economy into literally a captive of Russia,” Vice President Mike Pence said this month at a NATO anniversary event in Washington, referencing a proposed pipeline that could double Germany’s imports of Russian gas.